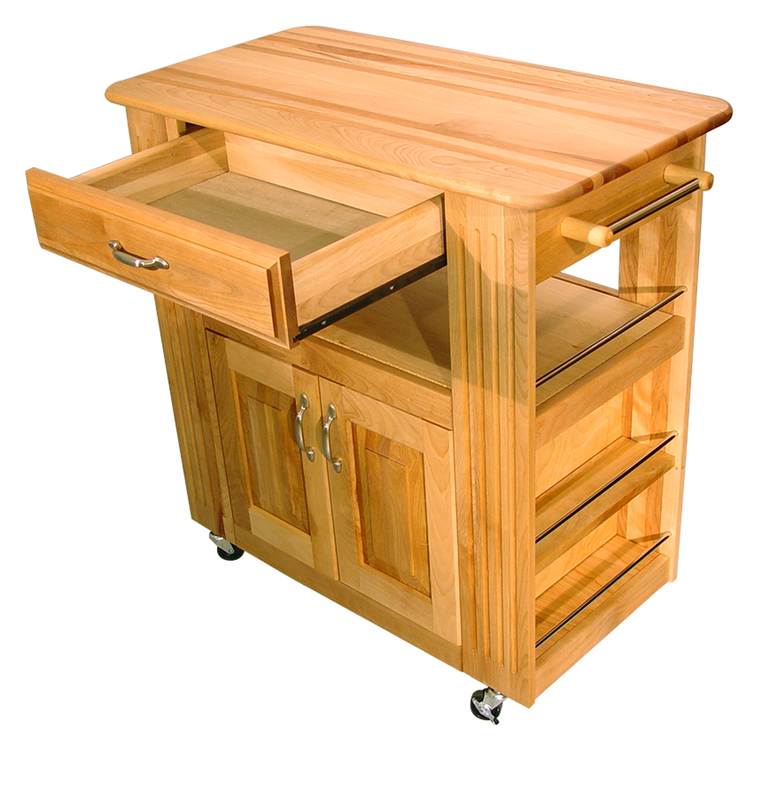 Catskill Heart-of-the-Kitchen Island - Butcher Block Top 34" x 18"
It’s attention to detail that makes the rugged Heart-of-the-Kitchen rolling island such a standout – like a raised-profile utensil drawer; hardwood veneer on the side and back panels; a brushed-nickel finish on retaining rods on side storage shelves; carved panels to the left and right of the solid-wood cabinet doors and dual towel bars. The HOTKI was really designed to give the cook plenty of space – work space and storage space. Its 34” x 18” butcher block work surface provides ample elbow room for such projects as rolling and kneading dough for baking pastries or assembling hors d'oeuvres on serving trays. 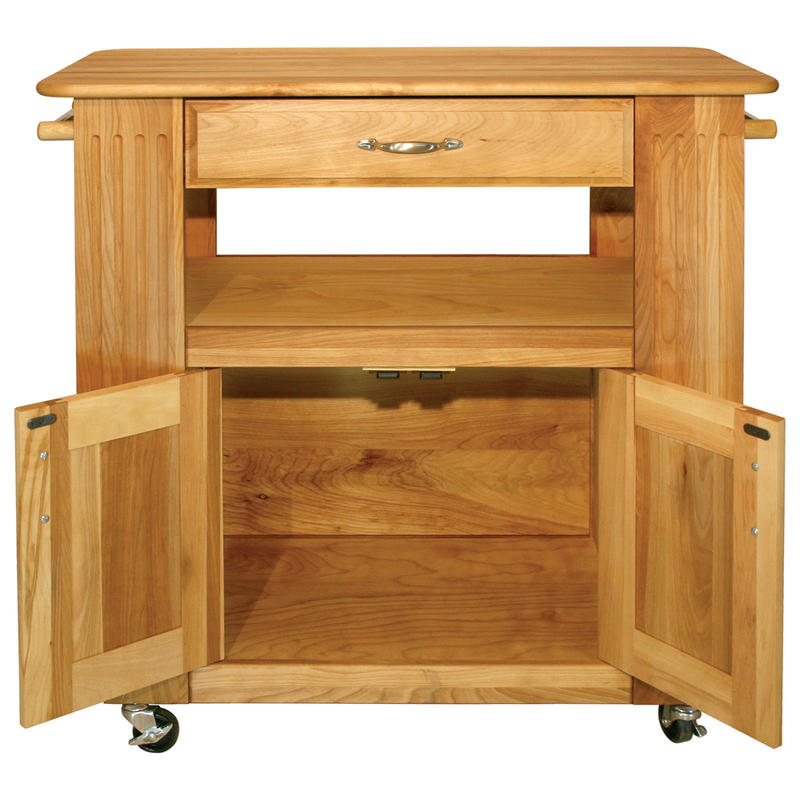 Beneath the cart’s top you’ll find a utility drawer that’s 18 inches wide and over a foot deep, then an open shelf that’s accessible from all four sides and perfect for larger items you need on a fairly regular basis. The enclosed cabinet provides 2.5 cubic feet of storage that’s ideal for large cookware and small appliances. 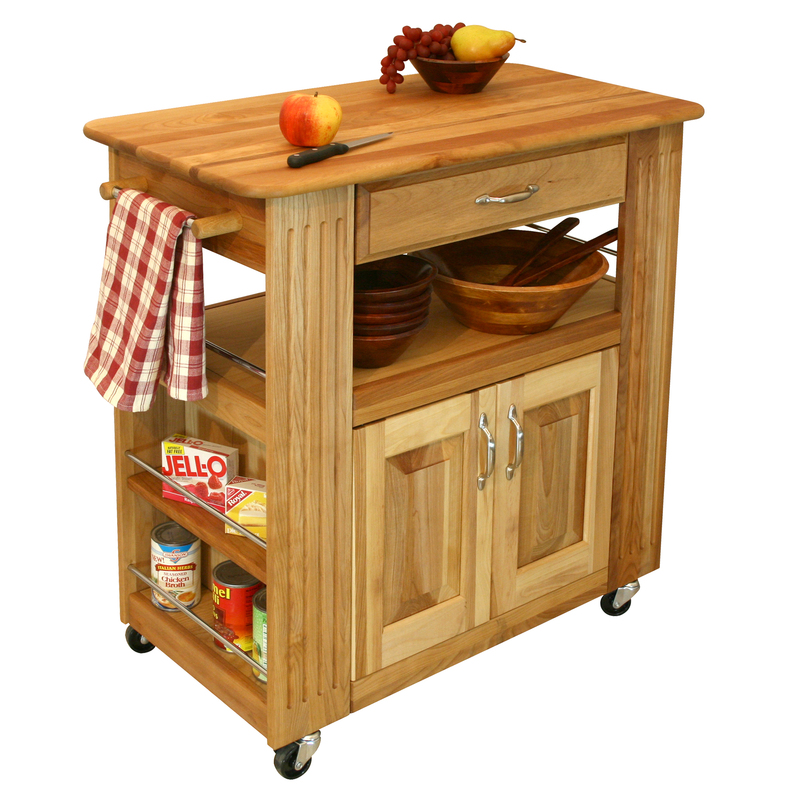 And finally, two shallow shelves built into each side of the cart are great for storing spices, condiments and frequently used ingredients. 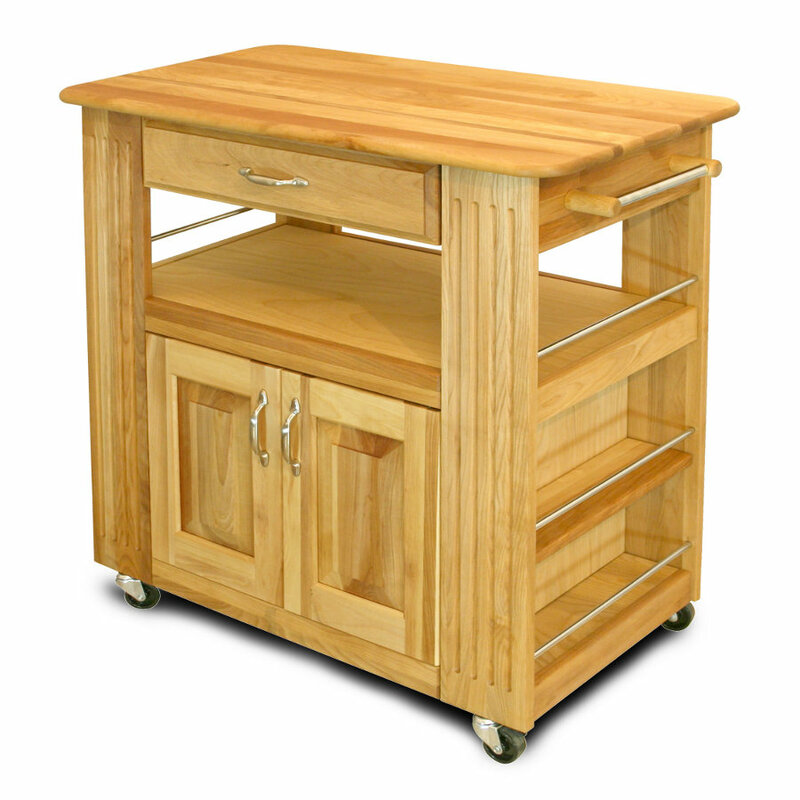 If you like the look and feel of the HOTKI, but require even more kitchen work space, you might want to consider this Heart of the Kitchen Island, which includes a 10-inch drop leaf.